Seems like you can’t turn around on the Sunshine Coast without someone offering you a mojito in a Mason jar with a stripey straw and ironically retro umbrella; or a small-distillery, imported organic whiskey; or a brioche burger stacked with chicken wings and bacon and sriracha and pulled something-or-other. And sometimes that’s what you’re up for. But sometimes you just wanna go old school and have a beer at your local. Classic, simple, unpretentious. Check out our round-up of the best golden-oldie pubs on the Coast. The Apollonian must be one of the MOST old-school pubs on the Coast. Their Sunday lunchtime spit-roast BBQ is like stepping back to a 19th Century bush kitchen. Pull up a chair at one of the tables out on the lawn, grab a cold beer and a plate of wood-fired pork, salads and damper, and relax and enjoy the sunshine. If you’re lucky, the pub proprietors and their family might kick off a game of footy for all the guests brave enough (and not too full!) to join in. Lifting old-school pubs up a notch is Montville Pub gem. The food is a seriously impressive take on pub classics (think Wagyu burger, glazed pork belly, and Guinness and beef pie). And if you want to impress your next date with your commitment to local talent, (or if you want to provide a bit of background music in case there’s an awkward lull in conversation) they have an awesome lineup of live local music every weekend. This place has to be one of the best pubs on the Sunshine Coast. 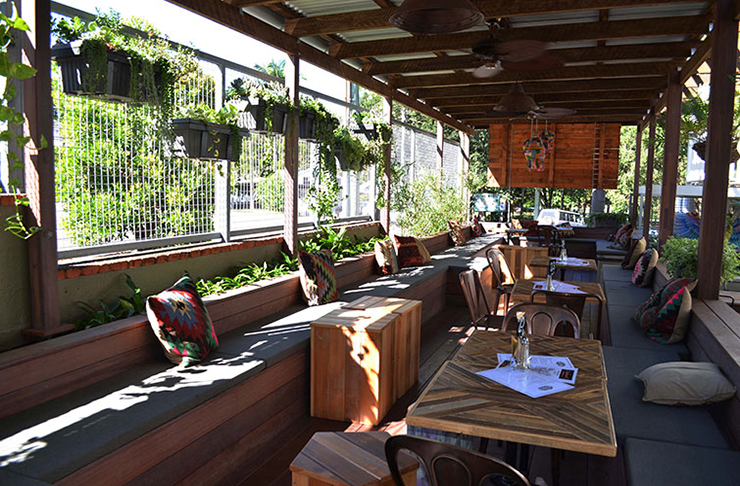 The Imperial is what happens when a heritage-listed, century-old pub in the heart of Eumundi drops acid, joins a commune, and discovers its inner hippie. 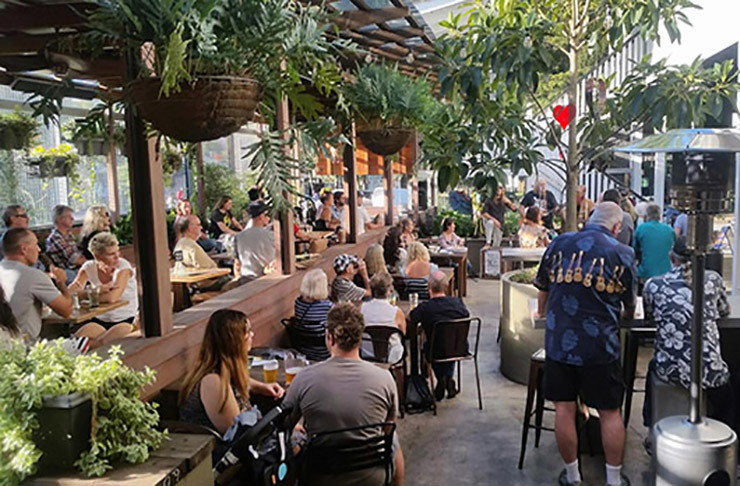 Psychedelic murals, DJs, and jam nights sit side by side with its classic old Queenslander façade, rustic outdoor bar and bistro. And you can expect some lighter food options than your usual pub classics – Tassie salmon, zucchini fritters and gluten-free pizzas. I mean, we ARE in Eumundi after all. Billing itself as the oldest hotel on the Coast, Yandina Hotel has a lot more to offer than its midweek tradie hour (which is, I’m told, pretty handy for girls who like their men in King Gees and boots). Grab a cheap and cheerful counter meal, a cold schooner, and sit back and soak up the atmosphere. Or if you’re out to impress, Yandina Hotel has all your bases covered. There’s a private cellar room that you can book for special occasions, with customised menus and matched beer and wines. If you’re a local, there’s even a courtesy bus to take you home at the end of a big night. The thing about old-school pubs is that you tend not to find them on the Coast. They tend to be tucked away in small country towns, down winding Hinterland roads, and in the heart of local villages. So next time you’re heading out to the fringes of the Sunshine Coast, Country Life Hotel in Kin Kin should definitely be on your list of places to visit. You can experience flashbacks to classic, home-style cooking like Grandma’s—steak, mustard chicken, and a surprisingly good range of vego options, and there’s even accommodation if you want to make a weekend of it. Up until now, we’ve been talking about old-school Aussie pubs. You know the ones. XXXX on tap, schnittys on the menu, and down to earth women called Noelene on the bar. But, while we are fiercely patriotic when it comes to Aussie pubs, we’re also lucky enough to have everyone’s favourite old-school American style pub here in Palmwoods. Rick’s has milkshakes, burgers, ribs, and boutique beers. And if you show up on the weekend, you’re pretty much guaranteed to have some classic cars or bikes out the front to drool over. If you’re feeling a little bit country, you’ll totally be up for some live music at Beerwah Hotel. Or if you’re trying to find a kid-friendly venue for a family lunch with your extended family, then the newly renovated play area will keep the anklebiters occupied while you work your way through the Nolans Private Selection Gympie beef on the menu. All of it. For a Sunshine Coast pub with some serious history, we’re voting for the award-winning Woombye Pub. An actual staging spot for the legendary Cobb & Co. coaches on their way between Brisbane and the Gympie goldfields, Woombye Pub has been part of the Coast since the late 1800s. 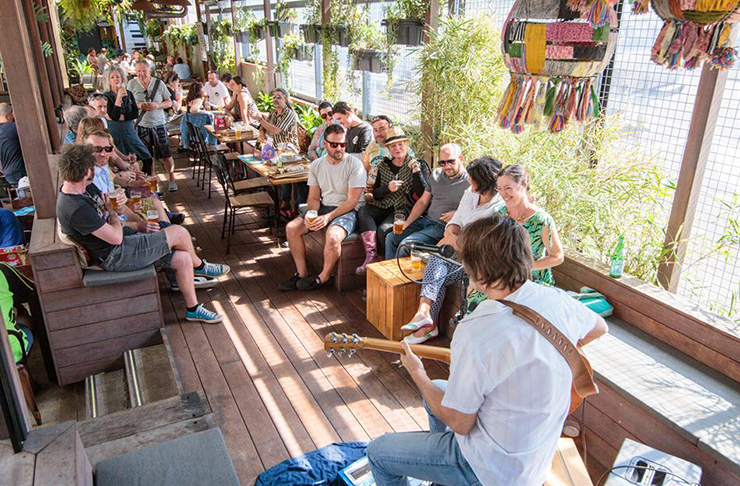 Combined with great local food, live music, and an atmosphere that will instantly make you feel like a local, no matter where you’re from, you’ve got to add this place to your bucket list. This place has to be one of the best pubs on the Sunshine Coast. On a budget? We've rounded up 50 Awesome (& Cheap) Things To Do On The Sunshine Coast here. What about the 30 Best Things To Do In Noosa here?